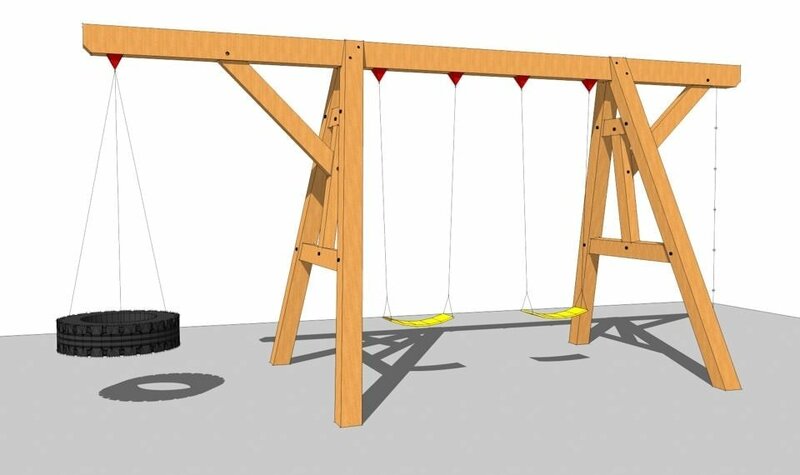 Your kids will be the envy of the neighborhood when you build them this heavy timber frame wooden swing set! 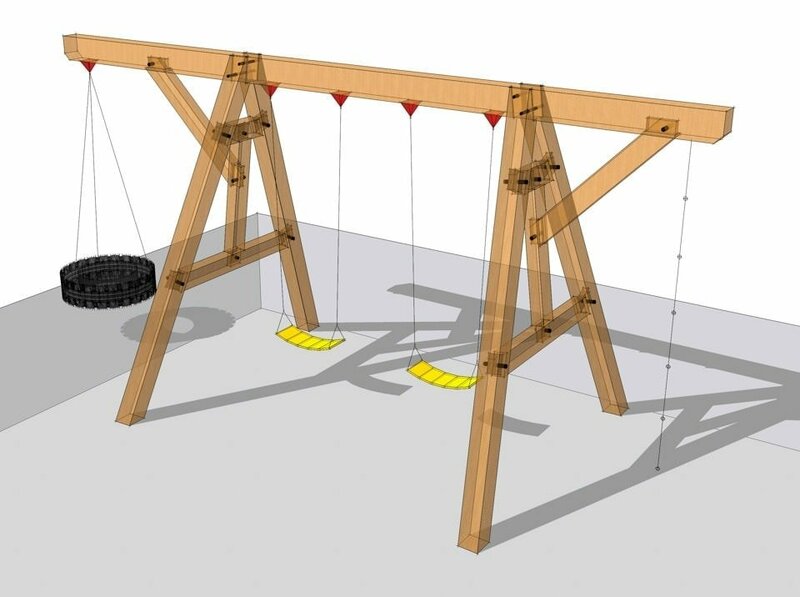 Constructed from sturdy 6×6 and 6×8 lumber, attractive knee braces support the cantilevered ends with a tire swing and climbing rope – or whatever you can dream up for the kids to play on. 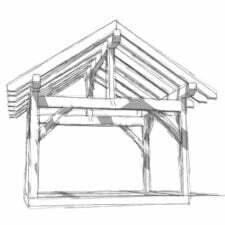 The splayed frame guarantees a strong base for two swings in the main section. 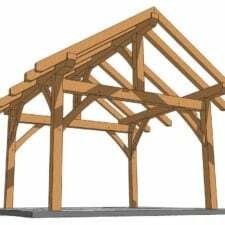 The wooden swing set drawings include renderings, timber schedule, plan, elevation and sectional drawings along with all the piece and joinery details you will need to build this small timber frame swing set. 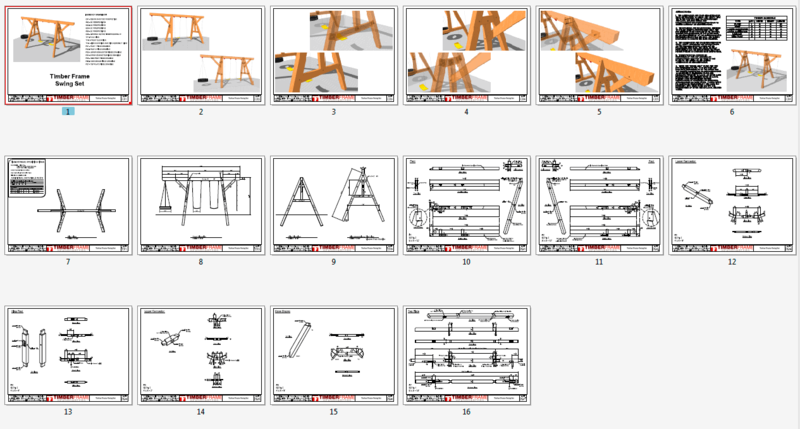 Formatted in an instantly downloadable PDF for 8 ½” x 11’ paper with 16 pages. 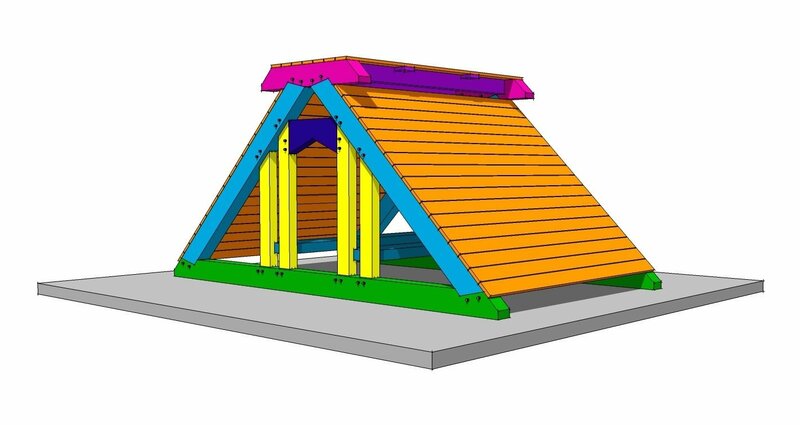 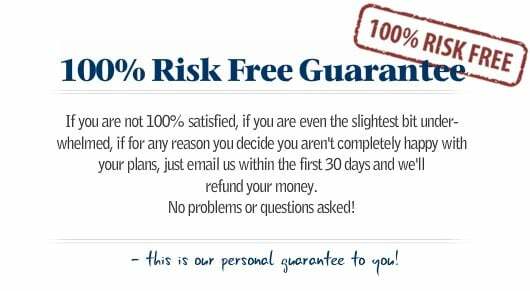 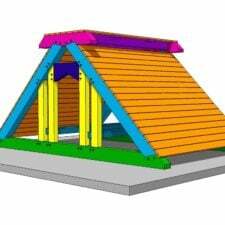 As a BONUS you will also receive our Climbing Playhouse Plans absolutely FREE!